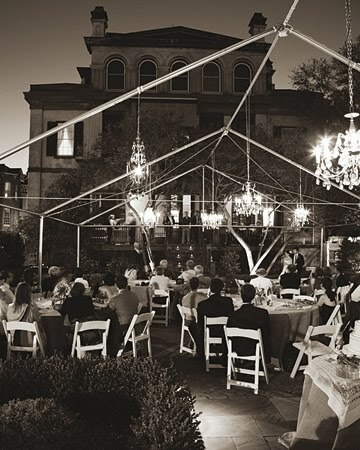 I wonder how the tent company would react if you rent a tent for your event but said you did not want the covering? Isn't this effect stunning. So architectural. It makes the chandeliers look even better, and I am sure it is sooo much cooler this way. Hey, if you were almost 100% sure it was not going to rain and there was a viable plan B option, I would totally do it!